Connecticut is a proper noun. Connecticut is (1) a New England state; one of the original 13 colonies, (2) one of the British colonies that formed the United States, (3) a river in the northeastern United States; flows south from northern New Hampshire along the border between New Hampshire and Vermont and through Massachusetts and Connecticut where it empties into Long Island Sound. The following articles provide more information about the proper noun Connecticut. Connecticut is the 48th largest state in the USA, located in the northeast and comprised of only eight counties. Visit this site to learn more about the state and find printable maps of Connecticut. Hartford is the state capital of Connecticut. 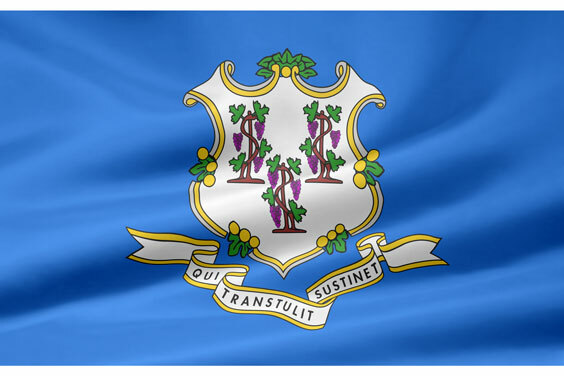 Learn about the Connecticut state government agencies, operations, and public services. Find information about living, traveling, and working in Connecticut. Learn about rural, suburban, and urban real estate markets in Connecticut. Real estate agents, buyers, and sellers will appreciate the Connecticut real estate resources on this page. Connecticut state history, geography, and travel information are the subjects of this Connecticut atlas page. This National Park directory page lists National Parks, Historic Landmarks, and Natural Landmarks in the State of Connecticut. An interactive Connecticut map, plus photos and highlights, are included thereon. UConn, located in Storrs and founded in 1881, is the state's flagship institution of higher learning. It is a major land-grant, sea-grant, and space-grant, research University with over 16,000 undergraduate students at the Storrs campus. The University also has schools of Law, Medicine, Dentistry, and Pharmacy. Information about visiting the campus and applying are on the website. Yale University, located in New Haven, Connecticut, has its origins in the Colonial days of America. There are over 5300 undergraduates, 6000 graduate students, and a faculty of 3333. Yale is a highly selective Ivy League school with programs in art, architecture, divinity, medicine, and law, among others. The website provides information about visiting and applying. Browse this art school directory for information about art schools in the United States of America. The photograph on this page shows Hartford Art School in West Hartford, Connecticut. Rhode Island is the smallest state in the USA, bordered by Connecticut, Massachusetts, and the Atlantic Ocean. Visit this site to learn more about Rhode Island and find printable maps of the state. Gartner, founded in 1979 and headquartered in Stamford, Connecticut, is an information technology research and advisory company. They have 60,000 clients in 10,000 distinct organizations. They also have branches in 75 countries. Gartner relies on the original research that they produce to help make faster and smarter decisions. Products and services are all listed on the website. Internet.com is the Internet and IT Network from Jupitermedia Corp., which is located in Darien, Connecticut and established in 1994. The website provides news and information for IT developers, small business, and personal technology. Blogs and Events can also be found on this site. Users who are interested in up-to-date news and ideas from the world of the Internet will find it here. Thomson, headquartered in Connecticut, was formed by the merger of Thomson Newspapers, a UK firm, and International Thomson in 1989. Today it is a publisher of information and online sources in the fields of Finance, Healthcare, Law, Science, and Tax and Accounting. Users can search the website to find products in any of those fields and information about acquiring them. The following articles provide recent Connecticut-related news. Peter Stubley. The Independent. Friday, 19 Apr 2019 13:15:52 GMT. ABC News. Friday, 19 Apr 2019 08:53:54 -0400. Nicole Darrah. Fox News. Thursday, 18 Apr 2019 22:43:31 GMT. CBS News. Wednesday, 17 Apr 2019 02:22:54 +0000. Washington Times. Saturday, 13 Apr 2019 13:13:21 -0400. CBS News. Friday, 12 Apr 2019 12:55:40 +0000. ESPN. Thursday, 11 Apr 2019 16:45:19 EST. Julia Jacobs. New York Times. Tuesday, 09 Apr 2019 16:44:30 GMT. Archaeologists in Connecticut are investigating the site of a violent conflict between American colonists and Native Americans in the 17th century. Live Science. Wednesday, 03 Apr 2019 06:24:00 EDT. The following digital image illustrates the proper noun Connecticut.